CAMPBELL, Calif. — April 18, 2017 — ArterisIP, the innovative supplier of silicon-proven commercial system-on-chip (SoC) interconnect IP, today announced that Cambricon has licensed Arteris FlexNoC interconnect IP for use as the backbone interconnect of their revolutionary machine learning SoC. After a rigorous evaluation of nearly all commercial solutions, we determined that Arteris FlexNoC interconnect IP was the only NoC technology that would meet all our requirements. Linley Autonomous Hardware Conference 2017, SANTA CLARA, Calif. — April 6, 2017 — ArterisIP, the innovative supplier of silicon-proven commercial system-on-chip (SoC) interconnect IP, today announced the Ncore 2.0 Cache Coherent Interconnect IP and the optional Ncore Resilience Package to accelerate and enhance the creation of next-generation designs for autonomous driving systems and advanced driver assistance systems (ADAS). We are very impressed with the new ArterisIP Ncore interconnect IP technology. 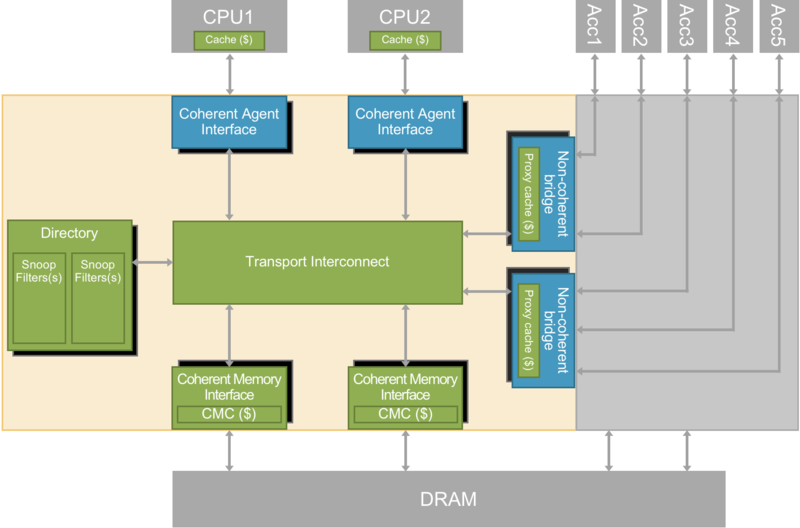 ArterisIP Ncore 2.0 interconnect IP offers even higher scalability along with the Coherent Memory Cache, which reduces DRAM accesses while maintaining area efficiency. CAMPBELL, Calif. — March 30, 2017 — Arteris Inc., the innovative supplier of silicon-proven commercial system-on-chip (SoC) interconnect IP, today announced that it will now be known as ArterisIP. The ArterisIP name change reflects our goal of delivering semiconductor intellectual property that enables advanced on-chip communications and die-to-die communications for all SoC markets - worldwide.